Use custom brushes in paint.net. A free plugin. Fixed problem with Add Brushes. 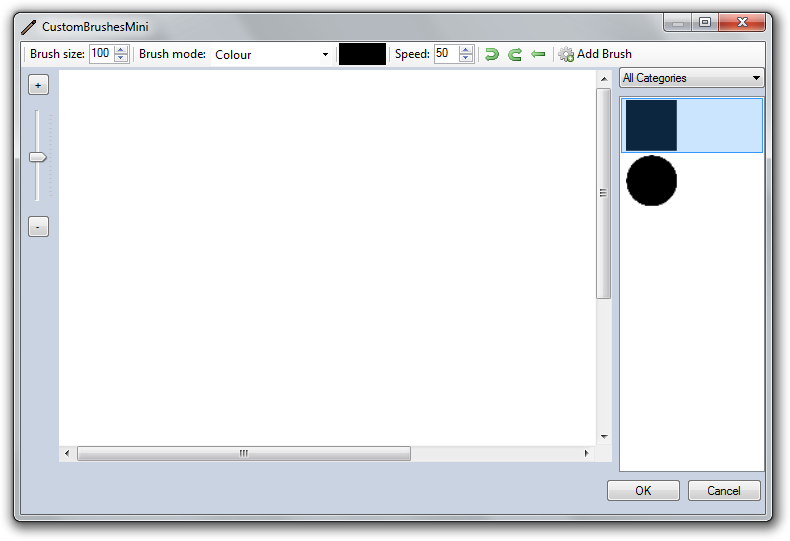 Add Brushes now prevents brushes from being loaded from the Custom Brushes folder. Undo should work with drawing done straight after loading/changing brushes. Hopefully fixed crashes Rick was experiencing. Now works if FileTypes folder has been deleted/renamed. Add Brush dialog now filters by correct extensions. Moved back to the Windows colour picker. Menu name changed to just “CustomBrushesMini. Removal of separate brushes window. Brush cache now stored in AppData.